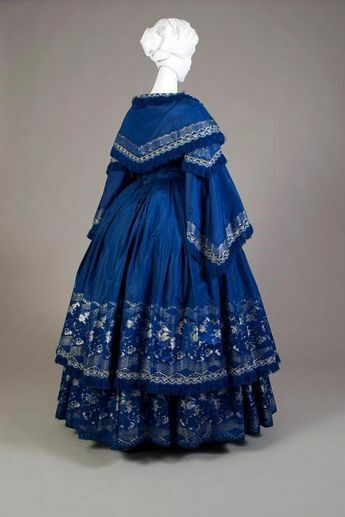 Rate the Dress is going big, little, and back to big again, with this blue bell shaped 1850s number. The things that a good fichu can hide! This dress belonged to Virginia Shields Vaden before her marriage to William Vaden in 1858. 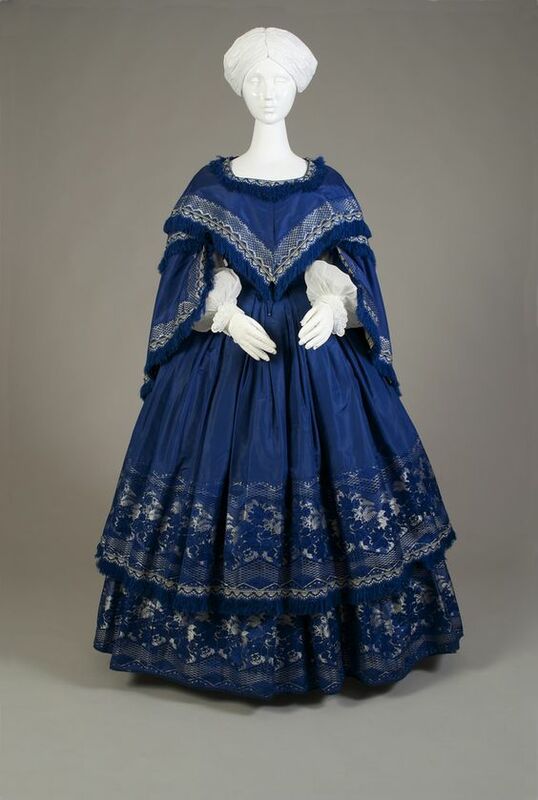 It’s a classic example of mid-late 1850s fashion, with its full tiered skirt, wide sleeves, and deep bertha. The bright colour is a lovely illustration that the wardrobes of unmarried women weren’t confined to muted, pale shades. The fabrics illustrate textile advances of the mid-19th century. The ribbon borders of the sleeves and berthe, and deep patterned hems of the skirt, were woven on a jacquard loom. 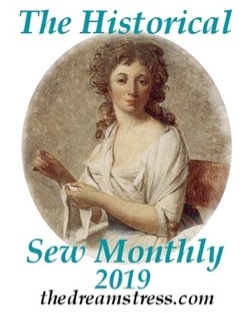 The jacquard loom was invented in 1801, but improved throughout the 19th century, and the dense patterning, with elaborate motifs that switch between naturalistic florals and geometric lines, is characteristic of designs made possible by developments in the 1850s. 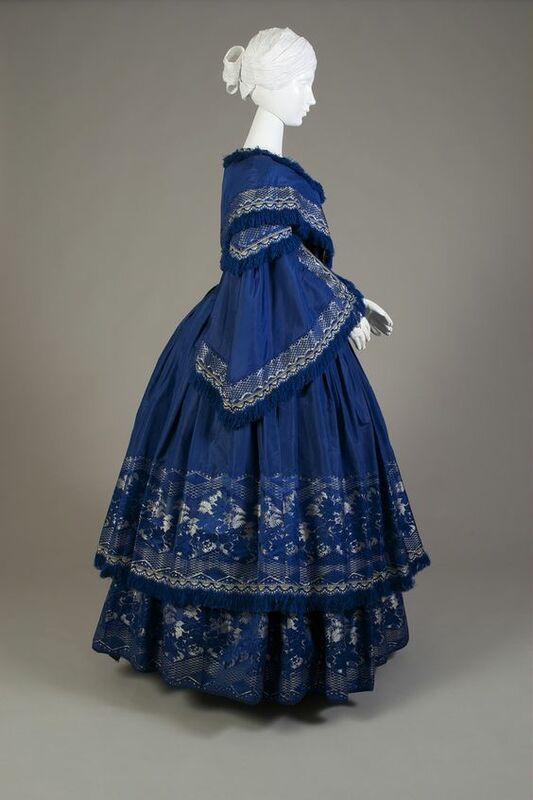 While the dress is contemporary with the invention of aniline dyes, and the vivid hues were probably inspired by the same fashion, it would have been dyed with the natural dye indigo. A synthetic (aniline) dye that replicated the blues of indigo dye wasn’t invented until the 1890s. What do you think? Do you like the frock? A reminder about rating – feel free to be critical if you don’t like a thing, but make sure that your comments aren’t actually insulting to those who do like a garment. Our different tastes are what make Rate the Dress so interesting. It’s no fun when a comment implies that anyone who doesn’t agree with it, or who would wear a garment, is totally lacking in taste. Two words come to mind with this dress. Ornate. And intense. But not in a bad way. I am not a big fan of Berthas, but what a fabulous dress! I think the blue is really what makes it just right and not over done. It is a rich shade of blue but because it is a blue, it retains a certain level of sedateness that balances the ornateness of the trimming. If it were red or yellow or really anything else it would be way too loud. The color is beautiful, and that blue is one of my favorite colors. The trim is exquisite. The fringe is modest, and inoffensive as possible. And I don’t mind the 1850’s silhouette. And yet…I can’t quite give it a 10, somehow. Something about the intensity of the color and the way every detail is just so makes it a beautiful object, instead of a garment that would make a woman more beautiful. I don’t give 10s to garments that aren’t both attractive AND make a woman more attractive. It’s the kind of dress that’s in danger of wearing the wearer, if you see what I mean. Yet it’s not the type of dress a strong woman would necessarily want to wear. She’d prefer something more exotic. More creative. Blue is not my personal favorite color and this era isn’t my favorite either BUT this dress is GORGEOUS. I love how simple yet ornate it looks all at the same time and the intensity of the blue is amazing. What a gorgeous color! The trim complements it beautifully. But there are a couple of niggling things that seem odd. The proportion of the overskirt in the side and back views seems kind of, well, mushroomish over the underskirt. Maybe it’s just the angle or something because I don’t notice it in the front view. My biggest problem is the bertha. How would one raise one’s arms to dance at the ball with that thing? It’s lovely standing still, true, but I think it would be rather cumbersome to actually try to move about in. 10/10 for color and trim, 7/10 for proportion/wearability = 8.5/10 overall, lol. If it helps at all, this is an evening dress, but not a ball dress – the sleeves are too long for a ball dress 🙂 There are so many levels of formality in Victorian clothes! I thought about that after I left the comment…that ‘evening gown’ didn’t mean the same thing it does now. But all the same…even if she’s not dancing…wouldn’t the bertha restrict her arm movement? For things like getting in and out of carriages, if nothing else. Gorgeous but awkward in places, yes… The pelerine and the hanging split sleeves look too much from the back. Too much flat fabric compared to the detailing of the front. Umm…hello platonic ideal! The intensity of the colour really makes this dress work, I think. I wouldn’t have said I was particularly drawn to berthas, but the rich, saturated shade, paired with the luxurious, but simple-ish-for-the-time ribbon trim just really does it for me. 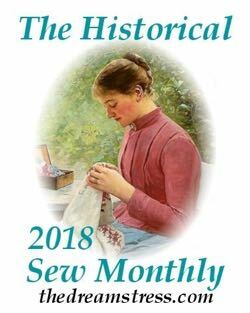 I thought the ribbon was lace at first, and my mind was blown by the concept of indigo-dyed lace, but the jacquard fully makes up for that disappointment. Overall I like this dress even with my antipathy toward fringe. The color is wonderful. It makes a bold statement with the lavish use of the jacquard. My only issue is with the neckline border. The rolled ribbon reminds me of a miniaturized version of a horse collar. It is far too bulky, especially when the fringe is added. I would really have preferred an edge that laid flat or has a ruffle or pleat if extra volume was desired. The rolled edge takes the neckline more into the outerwear realm because of its bulkiness. Still it is a beautiful dress and I give it an 8.5. I don’t like Berthas, or the shoulder-shape of gowns in this era – the whole, “let’s slide off into nothingness” doesn’t appeal visually to me. This dress? This dress is beautiful. The color. The jacquard. 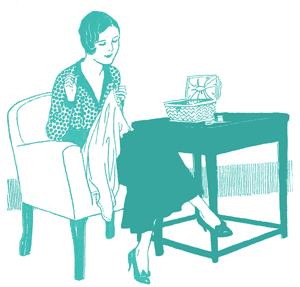 The deep square neckline (thank you – this saves the shoulder slope). I even like the effect of how the sleeves of the bertha pop over the white undersleeves – it’s interesting and would be nice in motion. But what sells this dress is the ornamentation. The neckline, the fringes, the jacquard at the hems. It’s balanced top and bottom, and it’s beautiful. And the color doesn’t hurt anything – love that blue. 10/10 for the color alone! 10!!! I wish I could rate it higher. This is one of my very favorite dresses you have posted! I love everything about it. 9 , gorgeous colour and trim. This is a dress for which I happily ignore my general disinterest in the 1850s silhouette. What strikes me is that the ornamentation against the stunning shade of blue is almost like the reverse of Blue Willow china. I think this is absolutely beautiful, although I tend to shy away from most shades of blue, including this one. Indigo has such a rich complex tone to it, and the silver (white?) trimming is opulent but restrained. But the fringe. I hate fringe but at least it’s matching the dress. I can’t think of any better way to finish off the edges, and fringe was very fashionable. I adore this dress. The vivid indigo and silver are perfect together. 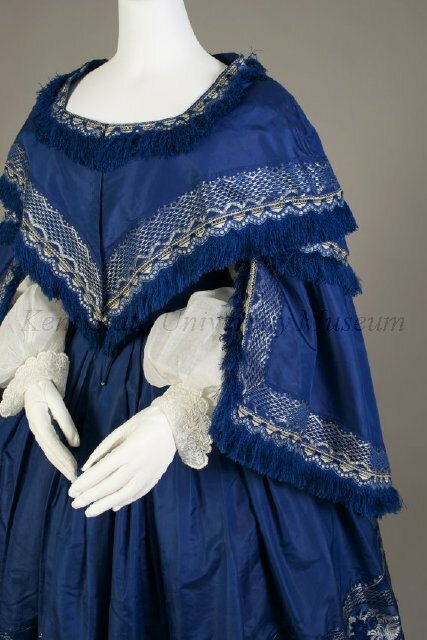 I am also not usually a fan of 1850s fashion, but I would wear this. I would have made this for myself if I were a young woman in the 1850s. I love the capelette effect of the bodice, and I’m sure that Ms. Shields loved it even more. I don’t know how rich she was, but I know many women didn’t have a lot of dresses and pined for the fashions of Paris and the rest of Europe. I can just see a young woman wanting to use this gorgeous silver jacquard trim and trying to figure out how to get the most bang for her buck. Using it on a cape wouldn’t show it off as much since the cape would be taken off at the door. I can also imagine her mother’s tutting at the bright indigo and insisting that the dress be very modest. What I love best is seeing the whimsy and flirtatiousness of Ms. Shields in this dress. She abided by the social mores of her day while still showing off her arms and style. 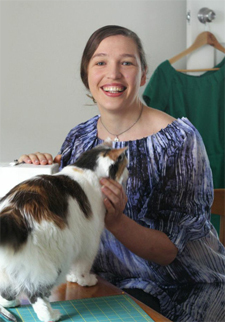 The dress also looks warm for cool nights, and I personally love how you could stick your arms out if you got a little warm and huddle under the bertha when you get chilled. I would love to see the dresses she had after she married. 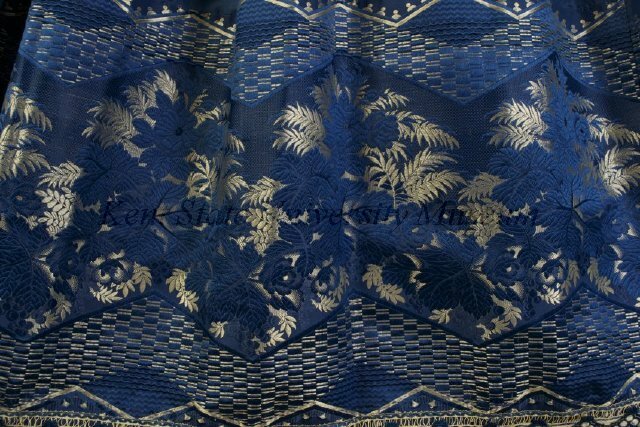 I also have got to find some indigo silk now! As a blue-eyed brunette with vivid coloring, I would TOTALLY wear this dress, except for the dang bertha. It would *not* wear me. The color is great and the embroidery/weaving is sumptuous , but the neckline is extremely unflattering and I feel the silhouette would make any but an Amazon appear a dwarfed mushroom. 6/10. Love the color, sleeves, and skirt! I normally like the bertha neckline, but with the sleeves, it’s a bit much. One or the other I say. The blue and silver complement each other beautifully, and the overall proportions are very good. I personally don’t like to wear blue, but it is still lovely. There are some slightly odd details, like the fringe around the neckline. The fabric is stunning and the sleeves are magnificent. I find the proportions a bit odd in a couple of places, but overall I like it very much. 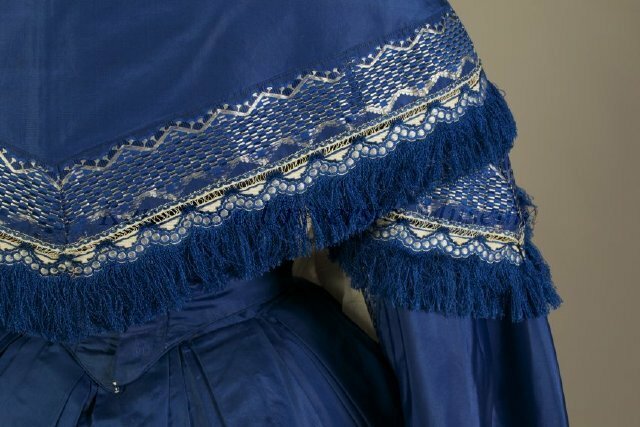 Despite all of the dress’s general 1850s eccentricities, the careful placement of the jacquard ribbon trim, especially on the skirt flounces, feels like an early version of the House of Worth’s purpose-woven (à la disposition) skirt panels. Antebellum doesn’t get much better. The deep blue fabric is beautiful. The silver patterning is also lovely. I like the tiered skirt, but I don’t think the fringe on the bottom contributes anything to the style. The bertha collar is just alright. I think it complicates the big drapey sleeves a bit, making the whole top look heavy and constricted instead of ornate and luxurious. Overall, a very pretty dress. I’m enjoying the variety of styles you’re picking out for us. Mmm, that’s a yummy indigo-and-white color combination, strong but restrained. Am not much for 1850s taste, but the materials are faultless, and the design, if looked at through the standards of the period as I understand them, also practically faultless. Am wondering if Miss Vaden would have worn a tucker of lace to soften the neck edge. A dress for dinner or the theater? My favorite color! I love pretty much everything except the front neckline, which seems to conflict with the line of the bertha. The jacquard looks so luxurious, and those sleeves give loads of drama. I would wear this in a heartbeat. This is my favorite dress out of all the dresses you have posted. I would love to be able to wear this dress. The color is divine. The shape of the sleeves and shirt are wonderful. Who ever owned this dress must have been very proud of it. I love everything about this dress except the silhouette. The blue color and white patterning work so well together. This dress belongs to the Kent State University Museum, not the Kentucky State U. Museum. ………….. sigh that is except for one thing. That neckline! Sob! Why would you create a beautiful dress full of curves and points and then slap a clumsy squarish neckline on it. Gah!!!! So I’m going to try and pretend its not there! Its too beautiful. I adore it and want it. If and when I ever properly learn to sew and attempt historical costuming myself, this is a hella strong contender for a dress I’d want to copy, though I’ve no idea how one would ever get such beautiful embroidery these days (I suppose if you somehow found the right style sari, and then bought four of them and hacked and frankensteined them together somehow…) And I usually hate berthas with a passion, but I think in this design it actually works. Ooh. This is another one where I really like the dress aside from one minor(ish) thing – in this case, it’s that the bertha, when taken in conjunction with the sleeves, seems a tad much (which is ironic, given how often we’ve said, “I like it, but it seems like it could use something more at the neck,” about others!). The whole arrangement is very cape-ish, and while I like capes, I think I’d like this “cape” more if it really was one, and could come away to reveal more of the dress (but still a dress with SOME sort of bertha, so that we don’t go straight from one extreme to the other!). But other than that, it’s just lovely. It’s got the vibrant hue, it’s got the intricate silvery trim and the layered ruffles… Truthfully, I even like the shape and drape of the sleeves! I just feel like there probably could have been a better setup for the sleeve/bertha combo.